I went...almost to Alton for a rock climbing tasting session. My car sadly had other ideas when the scary knocking noise reappeared. Unfortunately we had to turn around and limp home. All fired up for a bit of physical exertion we found ourselves working out in the gym at 8pm that night - what have I turned into?!! With the session rebooked for this week, we treated ourselves to a birthday lunch in The Crown at Bishops Waltham. Such a beautiful pub and lovely to see more unusual dishes on the menu. 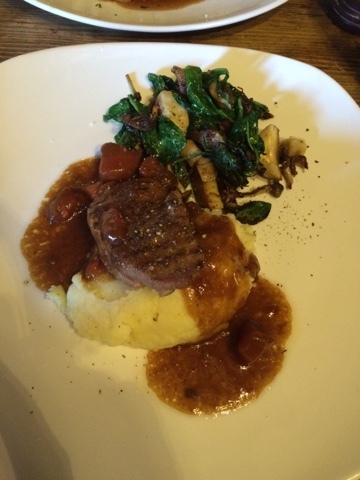 I went for pheasant with wild mushrooms and Sion enjoyed a perfectly cooked duck breast. Definitely a place to re-visit I think! 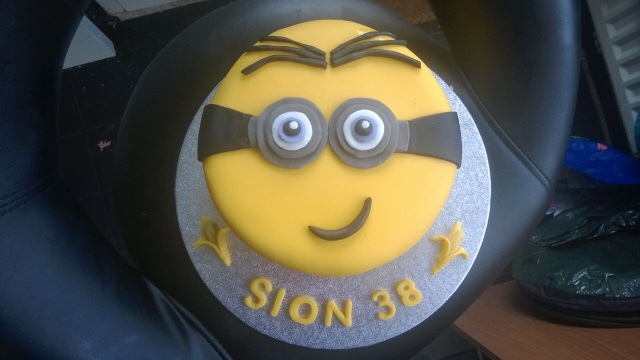 I enjoyed...watching Sion's face when he was presented with his Minion birthday cake on his Birthday Eve. Sion's younger sister made it for him and it tasted amazing! Sadly we were all too stuffed after the indian takeaway, despite choosing a health option (cooked with fry-light and reduced sugar) to have some on Saturday night, but there was no stopping us on Sunday! I made...a huge paella for Sion's birthday dinner that needed two pans to cook everything. We've now got enough leftovers to have as lunches for the next couple of days! 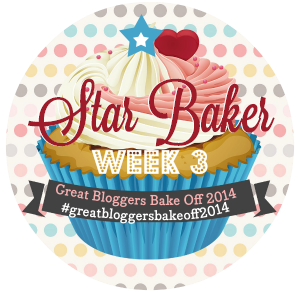 I also made a raspberry & white chocolate tray bake (recipe coming this week) for him to take into work. This week we will be remembering my Dad on his birthday, re-attempting our rock climbing session, having a professional cookery class and walking off a chocoholics afternoon tea in London - I'm so lucky! The Cake is fab, and that restaurant sounds pretty special too. Enjoy your afternoon tea. Sounds like a busy, if a little dissapointing, week. It's a shame you missed out on your rock climbing session, I hope you manage to get to it this week. 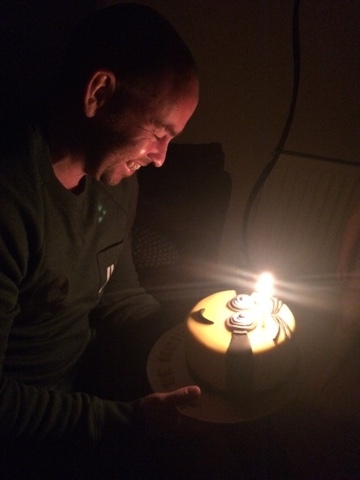 Happy Birthday to Sion, that minion cake is great, the pheasant doesn't look too bad either, looks like a scrumptious week. 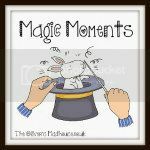 Popping over from Magic Moments.